Last week I bought myself some fabric and a pattern from Berylune. 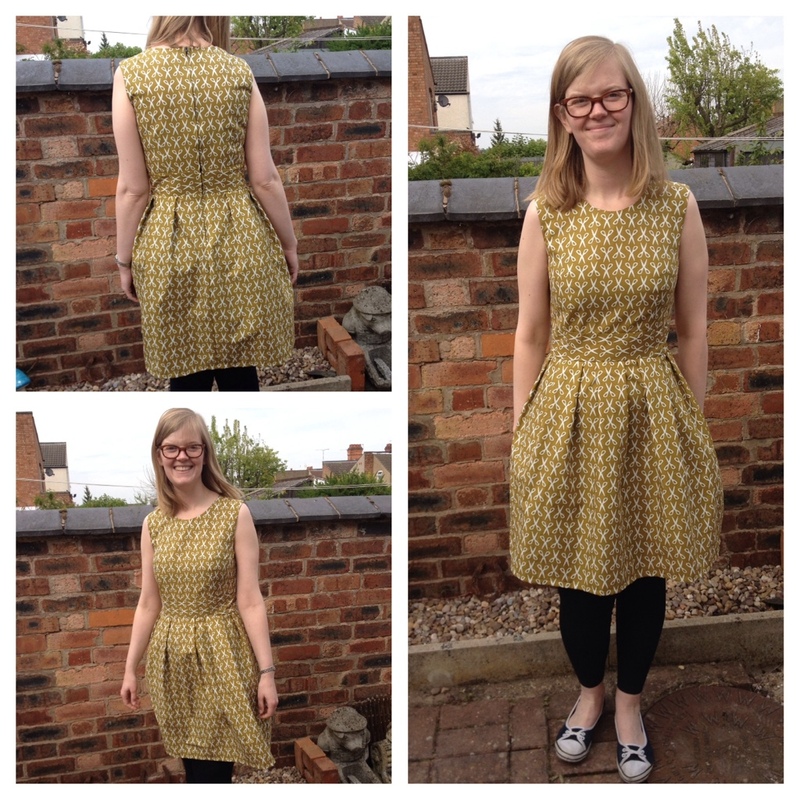 I used my long Bank Holiday weekend to make a dress. The pattern is The Mortmain from Gather. I really like the feel of the pattern envelope and all the illustrations. I found the instructions easy to follow and enjoyed making this dress, I have even cut out the next one already! I love the shape of the dress and look forward to trying it with an exposed zip. I wasn’t able to get the right zip in time to sew it this weekend so just used a normal one. I love the Cloud 9 fabric and took more care than I usually do cutting it out as I wanted the scissors running up and down on the skirt and bodice, but across on the waistband. I am really pleased with how this worked.